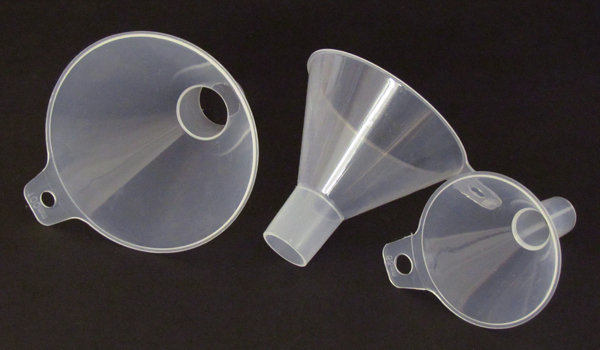 Polypropylene PP plastic funnel with 60 degree bowl angle. Autoclavable up to 121 degrees Celsius. The tab makes for easier identification, handling, and storage. Picture is a representation of different funnel sizes available. Please refer to product description for individual items.